We, at Scaf headquartered in Melbourne, have earned a stellar rapport as a prominent acrylic display manufacturer in Australia and suburb places like Sydney, Perth etc. supplying innovative and out of the acrylic box plastic and acrylic display cabinets products to companies across the country. With the growing company and liability, we have strengthened our potential to provide our customers with cutting edge and tailor made Acrylic display boxes. We exhibit style and innovation in wide range of our acrylic display cases including PETG, polycarbonate, expanded PVC styrene etc. 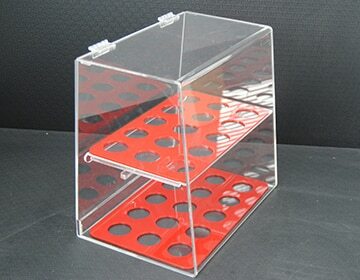 When it comes to creating the accurate blend of safely storing a product and displaying it in most fascinating manner, acrylic display case are the best bet. 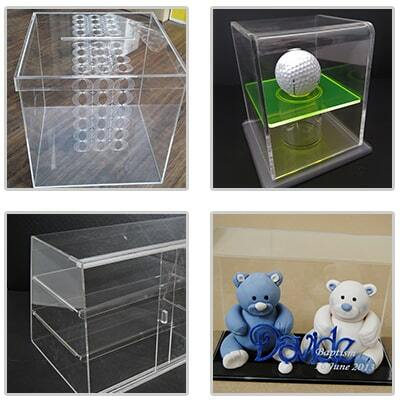 Leveraging our special cutting machine and quality raw material, we conceptualize, design and create the most attractive and durable acrylic display boxes to stimulate its elegance by showcasing it most attractive and delicate materials. Our products are excellent in finish, finely molded, durable and have chip resistant properties available in varied designs, sizes and shapes. Some of the most popular and extensively used acrylic display cases include display cabinets Melbourne, lipstick display item, basketball display box, cosmetic display box, watch display units, wine display item, retail display signs, custom point of purchase displays, point of sale display, store fixtures, floor displays, brochure holders, jewelry displays, business card holders, model car displays, shelving and accessories, phone holders, pastry display unites, cake stands, CNC machining Melbourne signage, lettering and shapes, menu and ticket holders and host of other display unites. We present our clients with a wide assortment of display products. All these display units require least maintenance, manifest high tensile strength and last for long time. We offer products using high quality material in sync with the industry guidelines. Give your display products a new lease of life and aesthetic appeal and enjoy its triggering sale.